Stock up on an economical, high-quality restroom necessity. 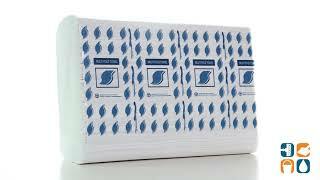 GEN Multi-Fold Paper Towels are great for hand-drying and cleaning up small spills. The multi-fold design and soft, smooth paper construction make these towels perfect for hand washing stations, restrooms and break rooms. Fits all standard dispensers (sold separately). Stock up on these Multi-Fold Hand Towels for your home or business. Order today. Buy in bulk and save even more!